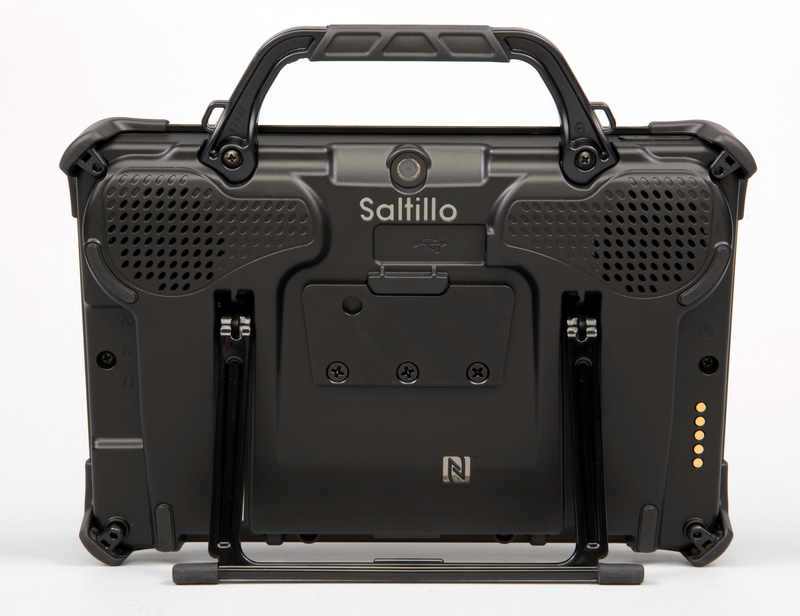 Saltillo offers full-featured communication devices that can be configured for different communication needs for a wide variety of individuals. Introducing the smallest member of our "Chat" family. NOVA chat 5 is our smallest integrated communication system that offers the well-known Chat software on an Android™ platform. 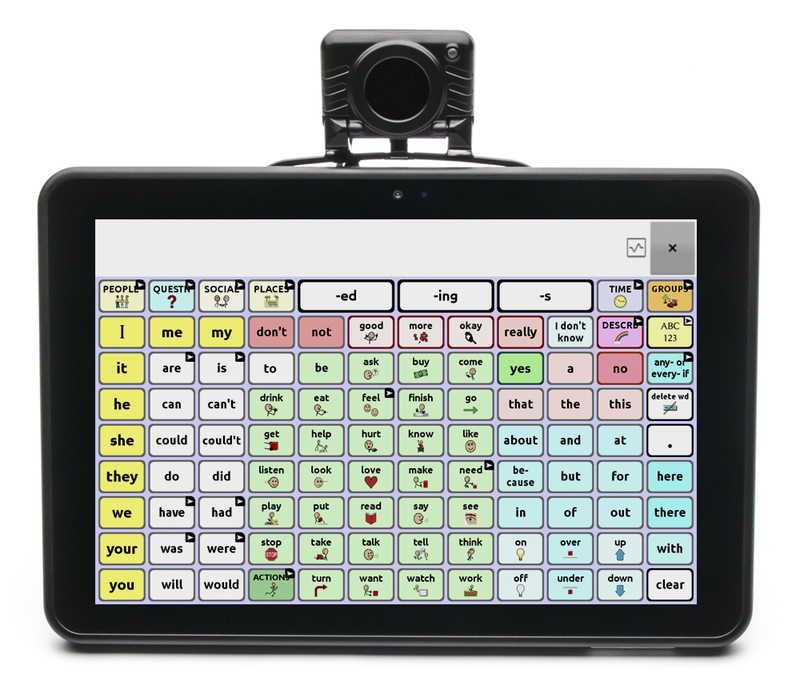 Like all "Chats," NOVA chat 5 offers a durable yet sleek portable design, with features that include a 5" display, multiple position capabilities, switch scanning, Social Chat, IVONA speech synthesizer, and many other Chat features. 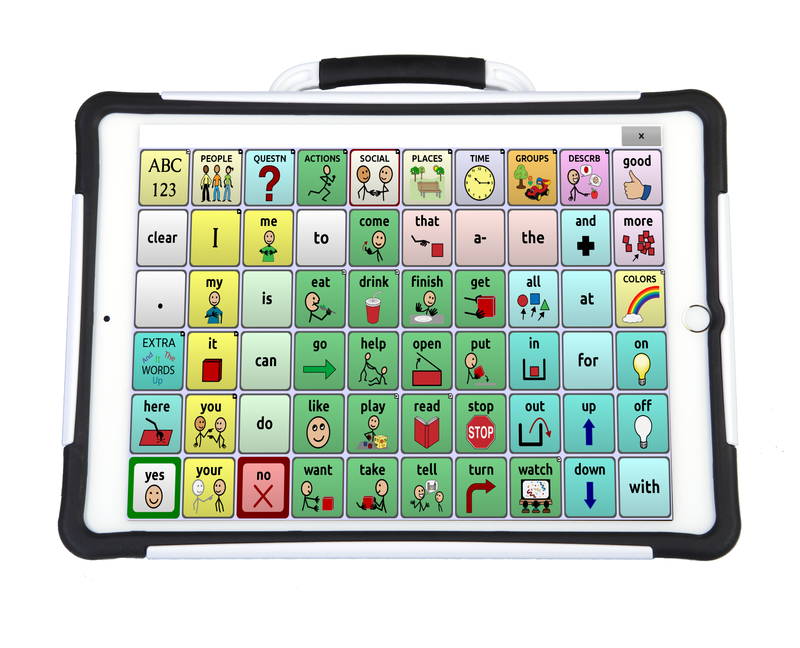 A variety of vocabulary configurations provides options for each individual that uses our "Chat" systems. 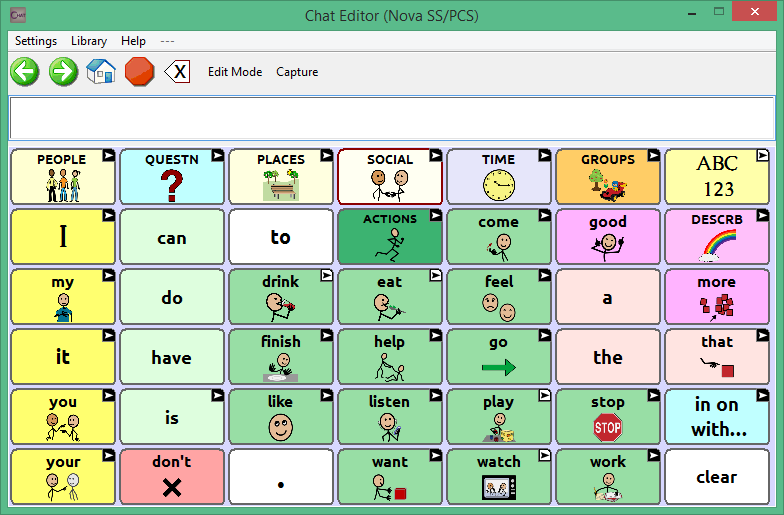 NOVA chat includes thousands of SymbolStix© symbols, and PCS© symbols can be added. Ivona© voices are standard and include a child's voice, a teen's voice, as well as numerous American, British English, & Australian adult options. Acapela™ voices are also available as an option offering several "genuine" voices for children. Additionally, there is a new English/Spanish Amercia NOVA Chat option using either Acapela or Ivona voices, which offers bilingual speech capabilities. 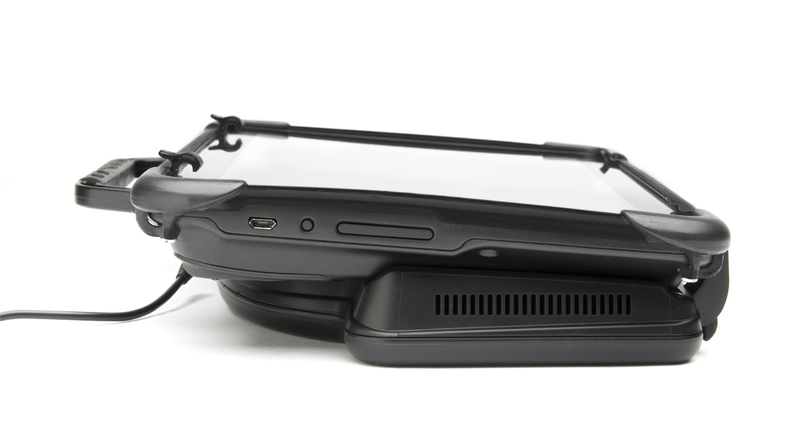 Sound clarity of NOVA chat 5 outdoes that of any portable communication system of its size. NOVA chat 5 comes with a 5" screen and weighs only .7 lbs. 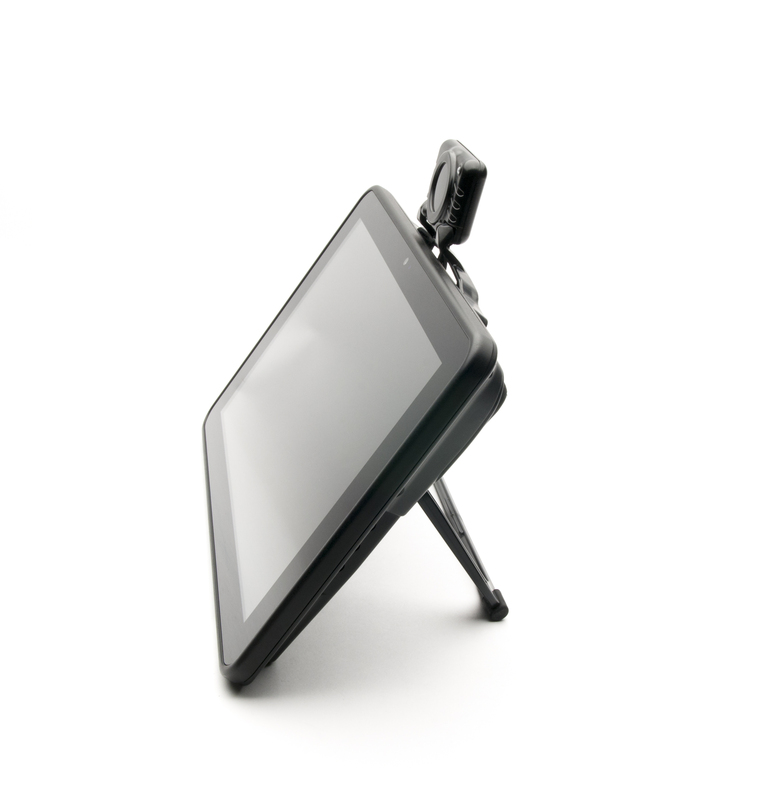 The capacitive touchscreen is accessible by finger touch or an included stylus. 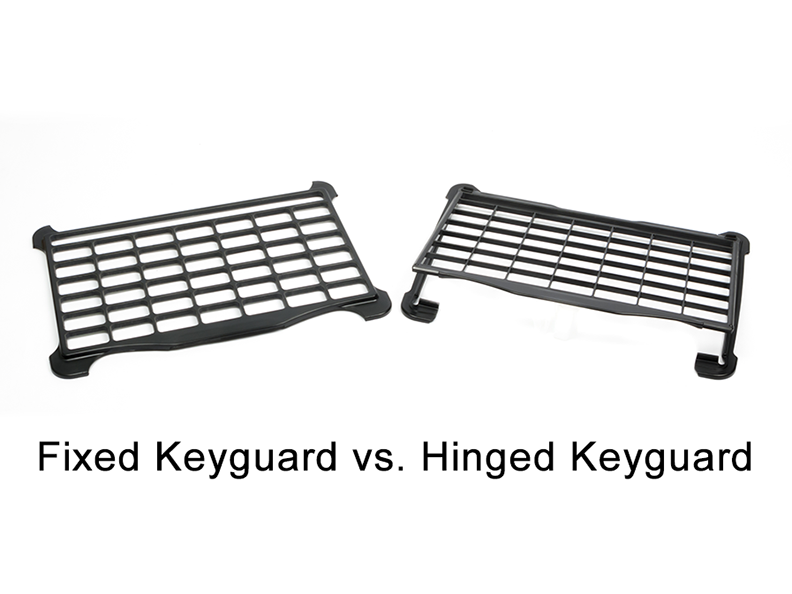 The rubberized protective shield not only protects the system, but now comes in four fun colors to give it an up-to-date style. No need to choose just one color, as all four color shields are provided with each system. Blue, green and purple offer youthful, fun options while a gray option provides a more sophisticated look. Saltillo has updated the user interface of their Chat software. Included are features for sharing text with other applications and social networks. This Social Chat feature allows text generated by Chat pages to be sent to Gmail™, Facebook, Twitter or other social networks available via WiFi from the Android Market™ media store. 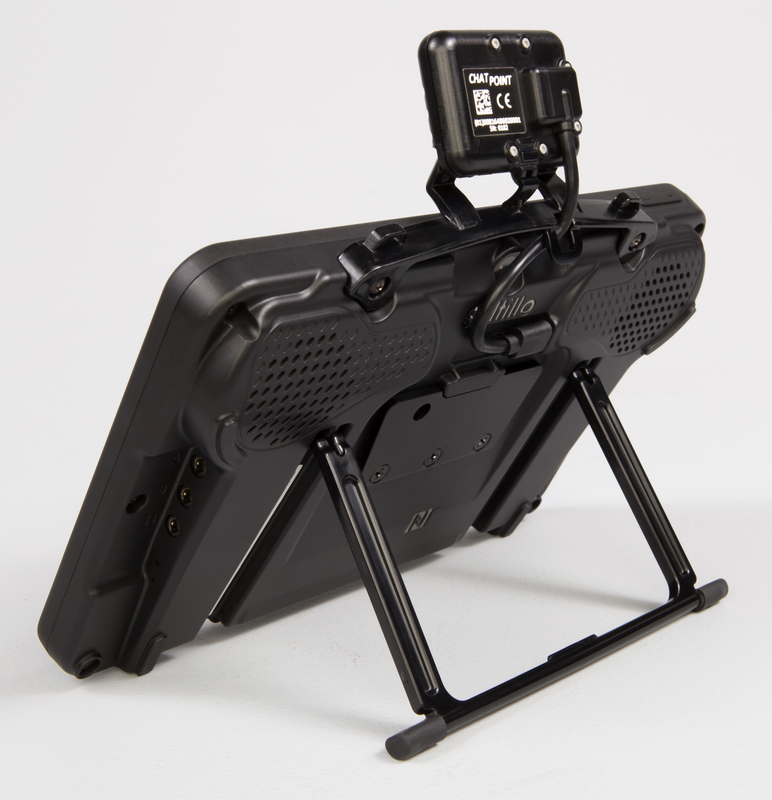 NOVA chat 5 has a unique design that allows for multiple positioning configurations. Its dimensions are 6.25" x 3.19" x 1.19", which makes it easy to hold. Strap attachments are available for hands-free transporting. For an energetic, on-the-go communicator, the popular NovaChat 8 is now available in an Active option. This speech generating device is lightweight and portable with the added protection of a durable wrap to help withstand drops and falls. With its sleek, lightweight and portable design, the familiar NovaChat 8 Classic wrap option is ideal for the easy-going, careful communicator. NOVA chat 10 offers the well-known Chat Software on an Android™ platform. 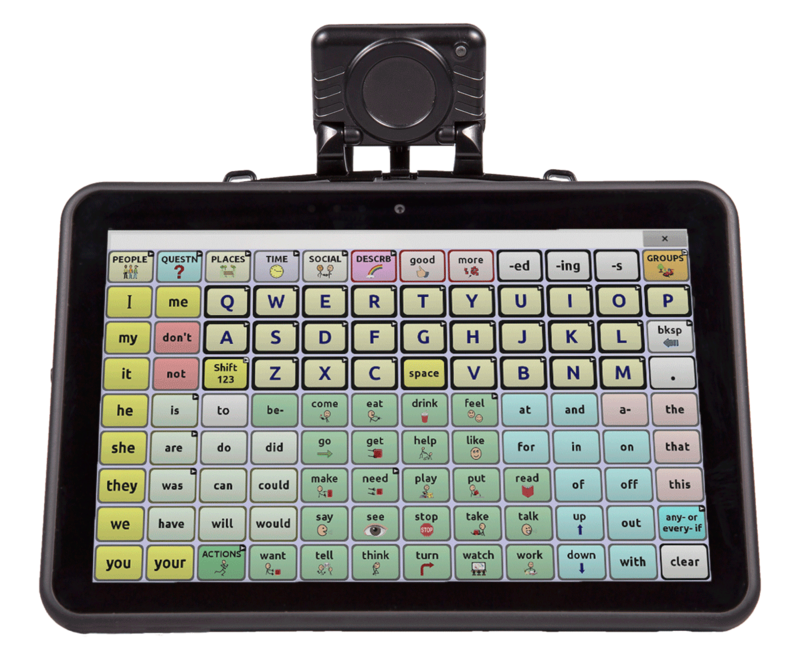 Like all "Chats," NOVA chat 10 offers a durable yet sleek portable design, with features that include a 10.1" display, switch scanning, Social Chat, IVONA© speech synthesizer, and many other Chat features. We are excited to introduce Ivona voices which include a child's voice, a teen's voice, as well as numerous American, British English, & Australian adult options. Acapela™ voices are also available as an option offering several "genuine" voices for children. Additionally, there is a new English/Spanish Amercia NOVA Chat option using either Acapela or Ivona voices, which offers bilingual speech capabilities. Sound clarity of NOVA chat 10 outdoes that of any portable communication system of it's size. NOVA chat 10 comes with a 10.1" screen and weighs only 2.05 lbs. The capacitive touchscreen is accessible by finger touch or an included stylus. Saltillo has updated the user interface of their Chat software. Included are new features for sharing text with other applications and social networks. This Social Chat feature allows text generated by Chat pages to be sent to Gmail™, Facebook, Twitter or other social networks available on the Android device from the Android Market™ media store. NOVA chat 10 dimensions are 10.25" x 6.38" x 1.38", which makes it easy to hold. 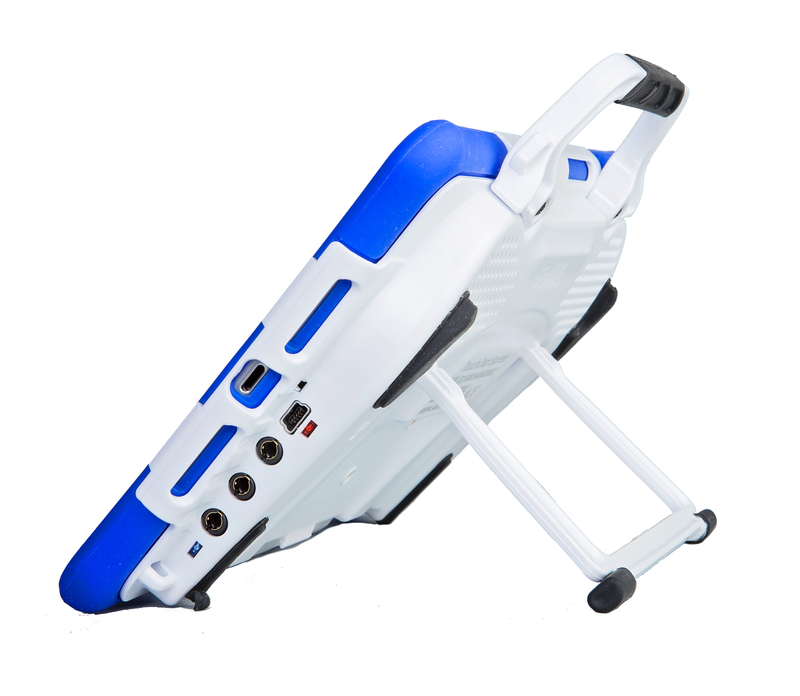 A stand and handle are also built into the design and strap attachments are available for hands-free transporting. Chat Fusion 10 is a unique communication device from Saltillo. Chat Fusion is driven by our powerful Chat software, but there is so much more. Fusion offers multiple access methods including Chat Point (optional headpointing), a front and rear camera, and extended battery life. 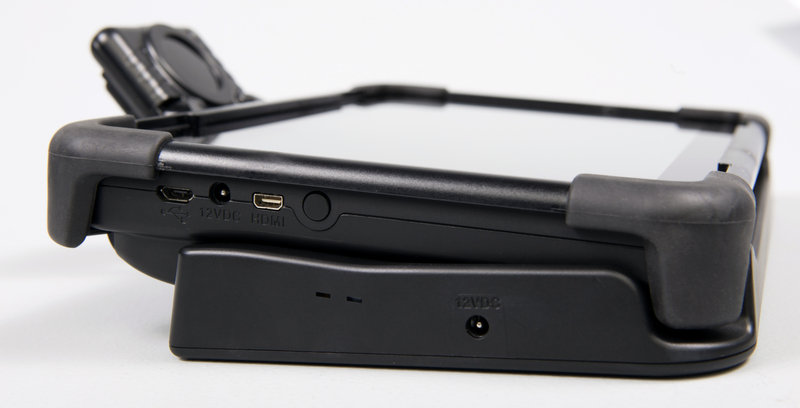 Single or dual switch and advanced scanning features are incorporated into the device as well. 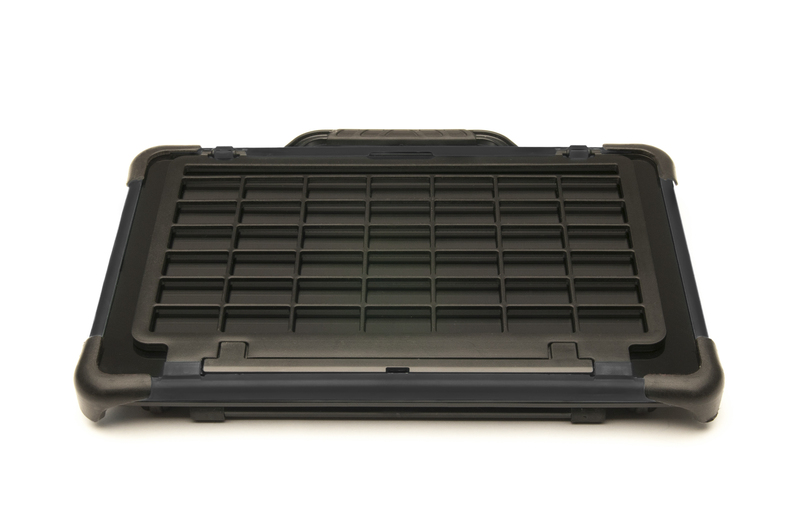 Additionally, a wheelchair mounting plate has been included for your convenience. Chat Fusion comes with a 10" screen and weighs only 2.4 lbs. The capacitive touchscreen is accessible by finger touch or an included stylus. Introducing TouchChat Express, a new communication device from Saltillo. 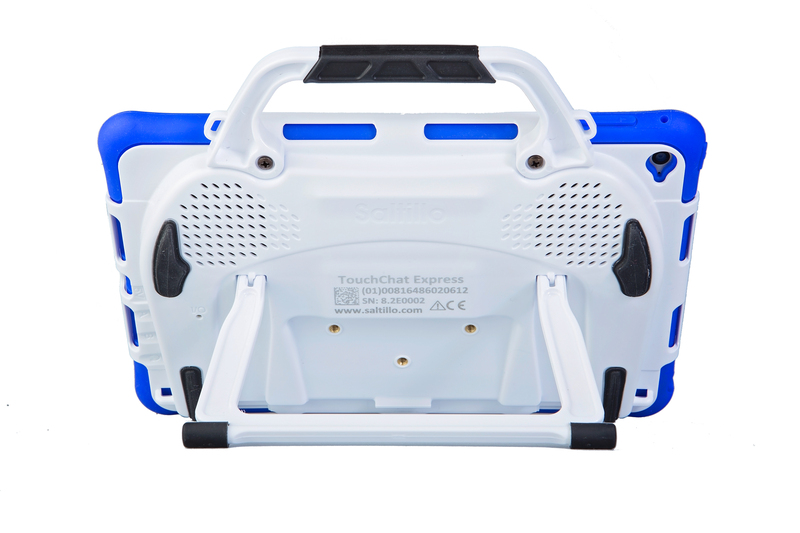 TouchChat Express combines the popular TouchChat app with the iPad or iPad mini and the ChatWrap case. Add to that industry leading service, support and training and you have the complete package! Provided page sets can be modified to create new custom page sets. Select from over 40 button actions and more than 10,000 Symbolstix symbols when customizing buttons. Further customization is available by using any imported image or by taking a photo on the spot with the built-in camera. Once customized, vocabulary files can be imported and exported to a computer using the iTunes file sharing feature. TouchChat also enables users to subscribe to iShare and store custom files for safe keeping, or choose to share customized pages with an online community. Each page set targets individuals with different communication needs. Additional page sets, including Gateway and Pixon are available as in-app purchases. TouchChat Express with the iPad measures 6 15/16” x 9 11/16” x 1 ¼” and weighs only 1.95 lbs. TouchChat Express with the iPad mini measures 5.5" x 8.25" x 1 1/8 " and weighs 1.40 lbs. Chat Editor is not intended to function as a speech generating device. 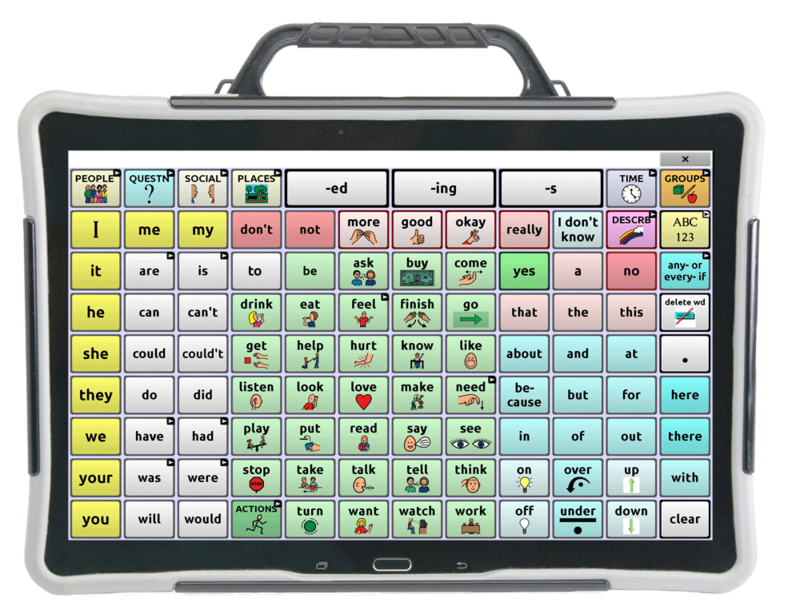 It is a support tool for modifying the client’s vocabulary so that the client can continue using the device while modifications are being made. Dialog boxes will appear slightly different and a couple of the options are modified for the computer. The Editor displays menus at the top of the screen, and the device displays them on the bottom. When you are editing and accessing menus on the device, pressing and holding on the screen opens context menus. In Chat Editor, right-clicking on the vocabulary window will open context menus for editing.